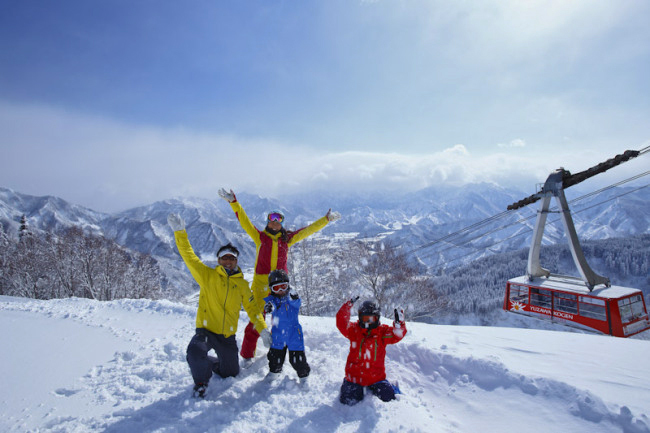 Take the 166 riding capacity Yuzawa Kogen Ropeway up to excellent snow conditions and spectacular panoramic scenery of Yuzawa and Minamiuonuma valleys of Niigata Prefecture and beyond. Truly stunning scenery awaits on a fine and clear day. 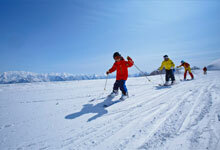 There's a good mix of skiing and snowboarding courses on offer too, as well as fun areas for families and children. 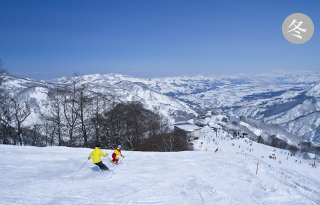 Yuzawa Kogen resort offers main areas - the Kogen Area and the Nunoba Area and is open for the snow season from mid December until late March. 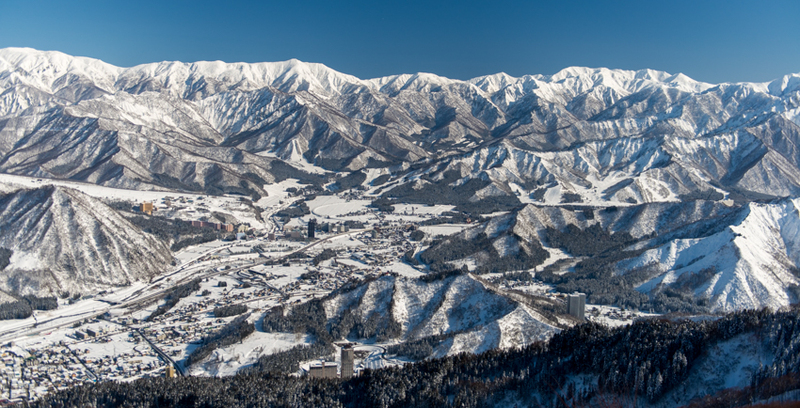 The Kogen Area offers amazing views as well as excellent snow conditions and a variety of challenges for skiers and snowboarders of different skill levels. 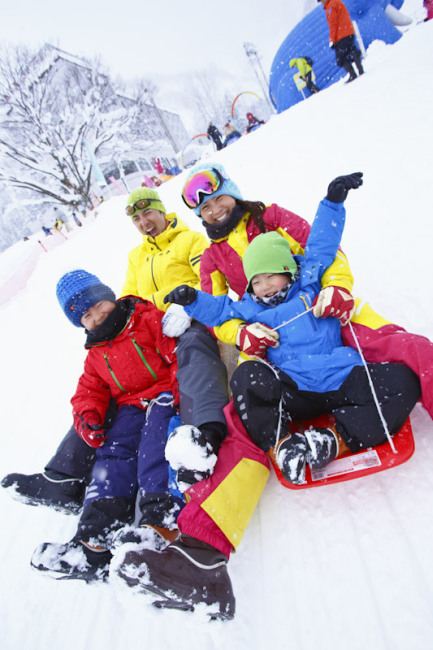 The popular Kogen Snowland offers snow tubing activities, a two tunnel slider and tree castle as well as other fun activities for the kids. 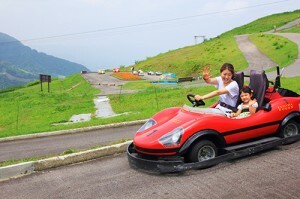 The Nunoba Area - located by the base station of the Ropeway and just off the main onsen road of Yuzawa Town - offers gentle slopes for beginners and families. 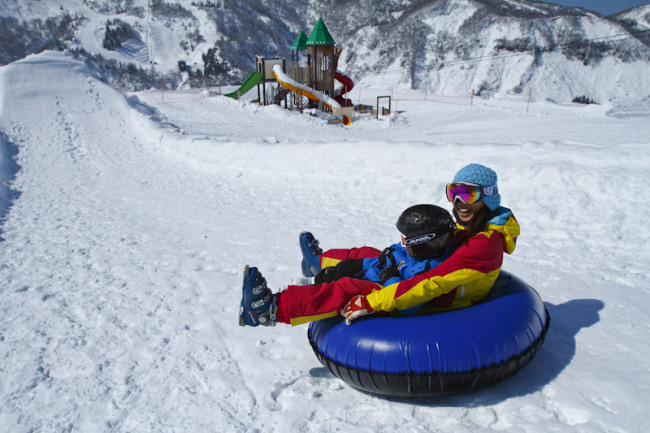 The Nunoba Snowland features snow sliders, snow tubing, sledges, a playhouse and a moving walkway. 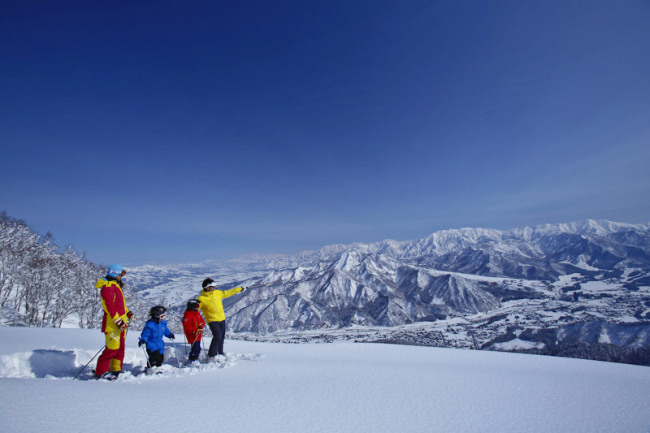 The skiers-only Nunoba Family course behind the Ropeway is popular for complete beginners and young children... of for just playing in the snow! 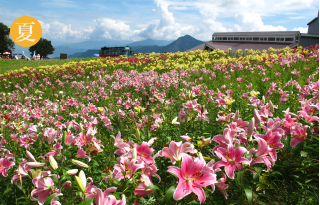 Even when the snow melts and the temperatures rise in the town, high up at Yuzawa Kogen offers a great escape from the heat and a wide variety of summer fun. This is the main course of Yuzawa Kogen. 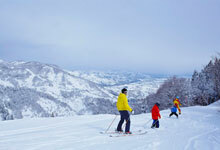 Enjoy powder snow conditions - part ungroomed - along with stunning views of the Minami-uonuma region. A long cruising beginners course coming down from the peak of 1170m and affording spectacular mountain views of the region. 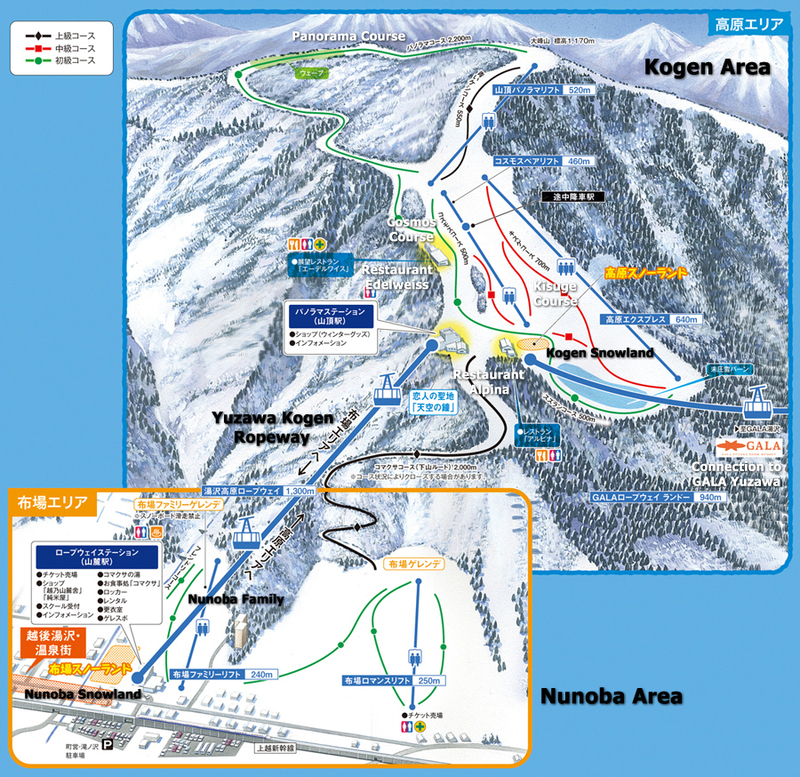 Ski or snowboard back down from the Kogen Area to the Nunoba Area using this course. Great views of the town and Ropeway on the way down. 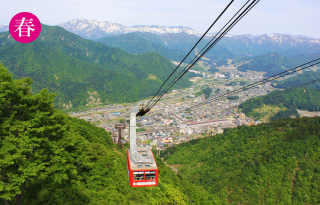 The Nunoba area is located near to the Yuzawa Ropeway bottom station close to the main Onsen road in Yuzawa, and offers a wide area popular for beginners. If you ski down from the top area you will arrive here. 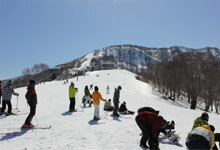 The Nunoba Family area is located just by the Yuzawa Ropeway bottom station and just for beginners. This is where you will find 'Nunoba Snowland' as well. Please note that snowboarding is not allowed in the Nunoba Family Area. 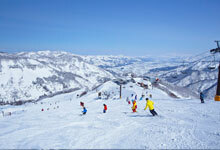 * Snowboarding is allowed on all course areas of Yuzawa Kogen resort apart from the Nunoba Family Area. 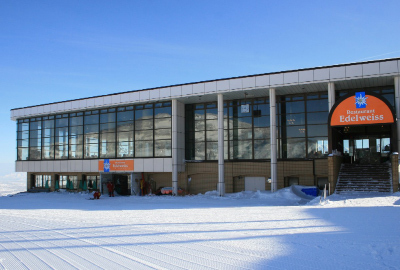 The 'Yuzawa Snow Link' is a ticket that is valid at Yuzawa Kogen and also the connecting GALA Yuzawa and Ishiuchi Maruyama ski resorts, making for a huge area to ski and snowboard. Opening dates for the Mt 3 operations vary each season. The tickets are valid from 29th December 2018 until 31st March 2019. 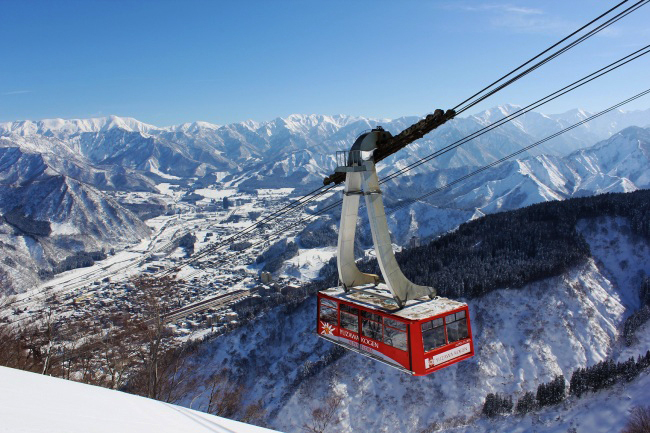 Note that the Ropeway connecting Yuzawa Kogen with GALA Yuzawa will operate from 5th January 2019. Senior tickets valid for people ages 60 and over. 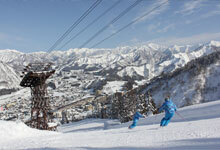 Yuzawa Kogen Ropeway operates every 20 minutes from 8:40am until 5:00pm daily. 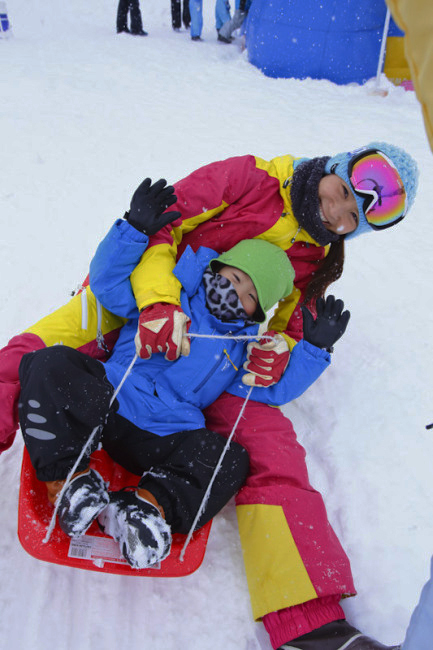 Children under the age of 3 years old must be accompanied by adults to enter Snow Land. Sledge play only available within Snow Land - sledges are not allowed on the ski courses. 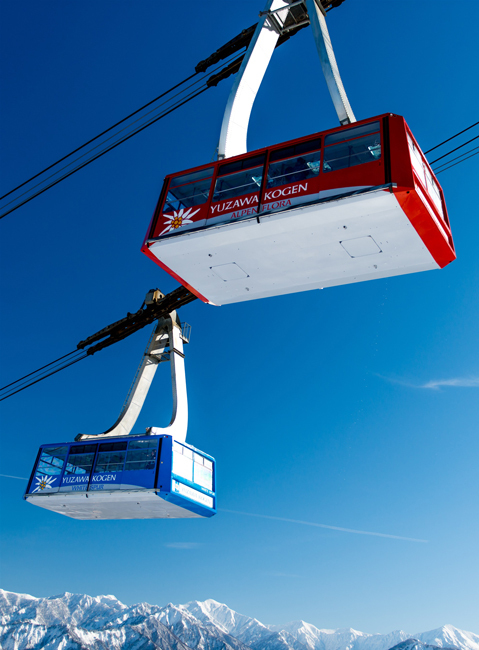 The Snow Experience ticket includes entry to both 'Snowland' areas as well as unlimited use of the Ropeway for the day. 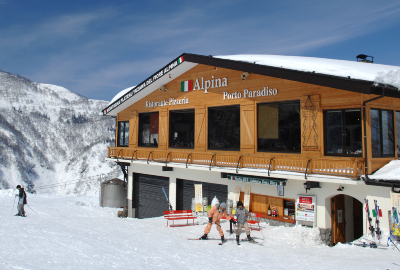 Ristorante Pizzeria Alpina - authentic Italian pizzas right by the slopes! 80 seats available. Restaurant Edelweiss - specializing in local mochi-buta pork and of course the local famous koshihikari rice - the best in Japan! 180 seats available. Kuma-no-ue-no Cafe (About the Clouds) - sweets and refreshments with fabulous views. Snow Terrace open the month of March. 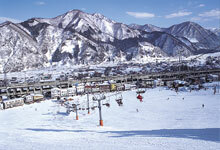 Yuzawa Kogen is an extremely convenient ski resort to get to! 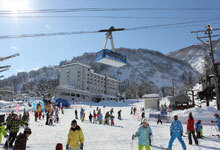 Yuzawa Kogen Ropeway is located just 600m from the West Exit of the main Echigo Yuzawa Station in Yuzawa town. The Joetsu Shinkansen bullet train takes on average just 80 minutes to get from Tokyo Station to Echigo Yuzawa Station. From the West Exit of the Station a free shuttle bus takes you to the resort; alternatively a taxi will always be available. The free shuttle bus plans to be operating daily between 21st December 2018 and 31st March 2019. 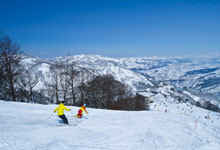 You can literally be at Yuzawa Kogen 1.5 hours after leaving Tokyo Station! Yuzawa Kogen is about 2.5km from the Yuzawa IC (Interchange) exit of the Kanetsu Expressway (toll) road - about 170km from the Nerima IC. After exiting Yuzawa IC, turn right onto Route 17. Turn left at the second set of traffic lights (Miyabayashi) and then right at the t-junction after 800m to head towards the West Exit of Echigo Yuzawa Station. Free parking every day of the season! Check the video shown to the right which shows the journey from the exit of Yuzawa IC to Yuzawa Kogen. This video shows the route from the exit of Yuzawa IC to the car park of Yuzawa Kogen. During the summer months outside of the ski season, free parking is available just behind the Yuzawa Kogen Ropeway base station. 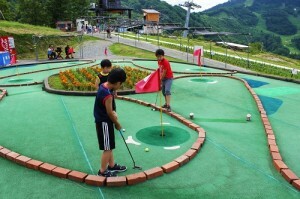 This area is the Family Area course area in winter season. During the winter season parking is in the nearby town-operated Takinosawa Parking area (500 yen). 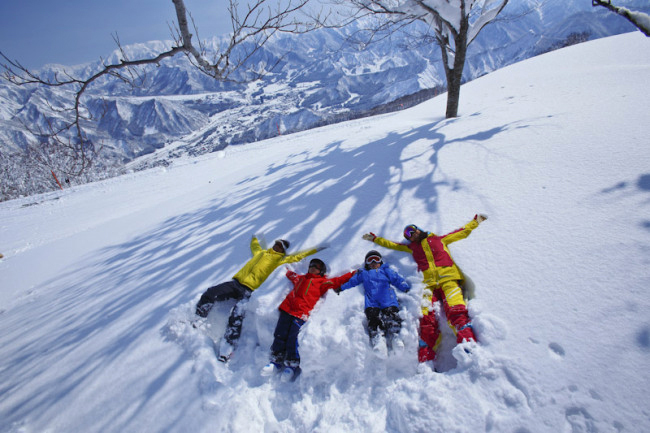 The snow may have melted and the ski courses closed for skiers and snowboarders come April, but Yuzawa Kogen Ropeway operates throughout the year with people coming back to enjoy each of the distinct seasons. Spring brings with it fresh green and an explosion of fresh flowers and plants. 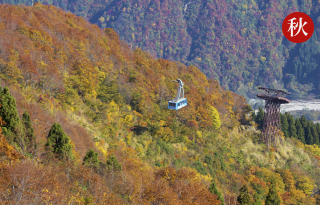 In Summer, Yuzawa Kogen is a fine place to escape from the heat lower down at town level, and in autumn the beautiful autumn leaf 'koyo' colours are a sight to see from the top of the Ropeway. Each season brings with it a new look.